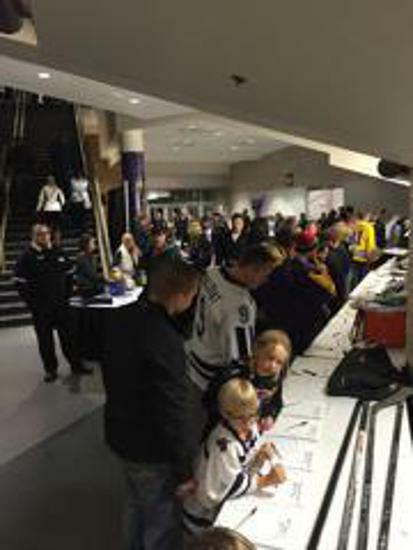 The 11th annual Anthony Ford Fund Silent Auction will take place Saturday, March 2, 2019 at the Verizon Center in Mankato. during the Bemidji State vs. Minnesota State Mavericks hockey game. In addition to the Pond Hockey Classic, Anthony Ford Fund holds an annual silent auction to support our core purpose of raising funds for pediatric cancer research and to help make hockey affordable for our youth through United Ways Connecting Kids program. The Anthony Ford Committee expressly thanks all the Donors who gave to the auction and to the all the Bidders who come out to make this a successful event. Take a peek at the auction photos in the Photo Galleries.